It was my first time running and I had NO idea what my time would be – my long runs usually average 6:30-6:45/k and were even slower this winter! I started really well too, then did a lot of walking between 13-23k, then ran through most of the hills (including all the way up the big hill at 26), finishing at 3:24 (*which included a pee break, so I estimate my time at 3:18) and I was really pleased! 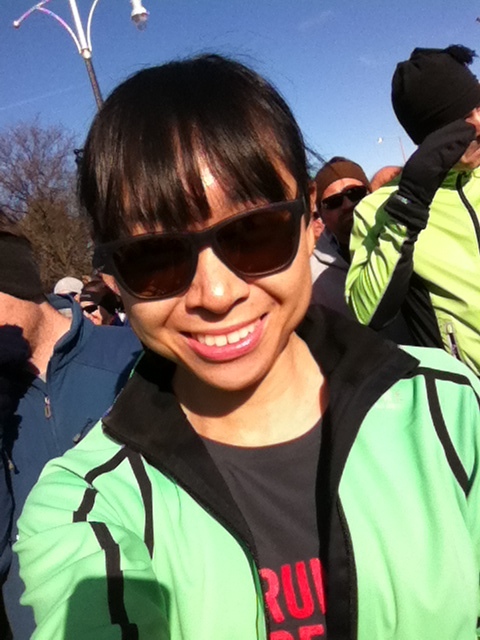 My next race is the Yonge St 10k and I want to run a PB for 10k which would be under 59! I’m not fast but I think I can do it! Congrats on your race, Lauren! 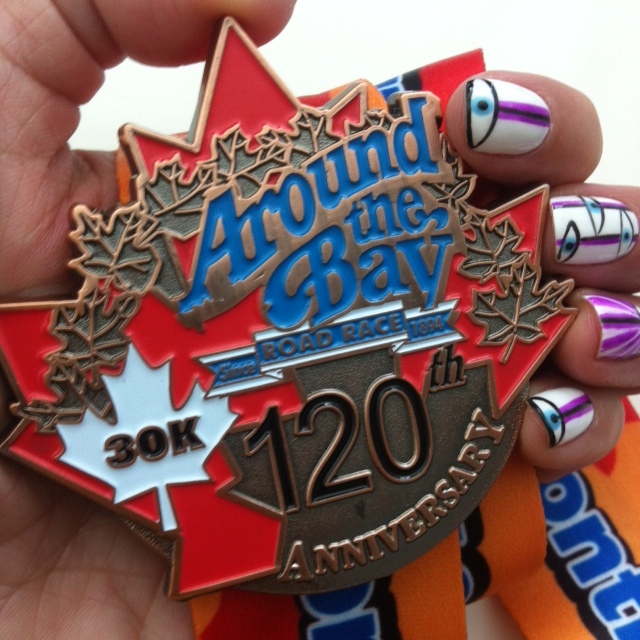 Good luck in the Yonge St. 10k — I bet you’ll get that PB!